We specialize in Residential Rental Properties. Searching for rental properties is more convenient and easier than ever with the help of Rental Professionals. We provide a variety of property listings to help you find a place to call home. Give us a call for additional information about our services. Get more information on how to get started by contacting one of our rental specialists today. Rental Professionals produces a publication of residential rental properties including houses, apartments, condos, townhouses, flats, duplexes and mobile homes that is supplimented and updated daily. 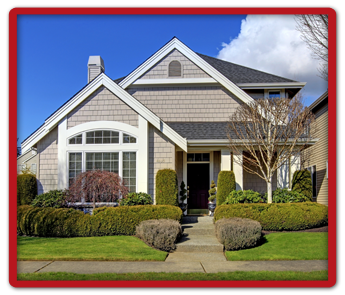 You can trust us to provide quality service as we have more than 25 years of experience in the real estate industry. Whether you are relocating from out of state or just moving across town, we are dedicated to helping you find your perfect home. We have over 3,000 available rental property listings in the Detroit Metropolitan Area and more than 800 available rental property listings in the Greensboro, NC area. Our goal is to get you into your perfect rental home fast and conveniently. Rental Professionals offers listings of available houses, apartments, condos, townhouses, flats and duplexes. Contact one of our rental counselors so that we can get you looking for your perfect home. Rental Professionals is your rental solution. We have been assisting renters locate and secure rental properties since 1992. We have established a respected relationship with property owners, management companies and real estate firms. This allows us to provide our clients with virtually every rental property in the area as they become available. Landlords, Property Owners, Looking for a Tenant? We have a unique system with a proven track record of bringing landlords and renters together. Our listings of your property or properties will let renters know exactly what you have to offer before they ever call you. You will save time and money by dealing with actively looking and informed callers only. In addition to our personalized service you have access to our 24-hour automated customer service to receive property updates daily via fax or email.